I’m starting this text the same way I began the last one. Writing about one of my three favourite Portuguese wines is difficult given the necessary care for your common sense, pleasure, memories and the product’s intrinsic quality. I appreciate certainty; even the certainty that comes with uncertainty. I like a Coca-Cola to be a Coca-Cola – always the same. I like the certainty within the uncertainty of great wines: every harvest is different, because the weather is never the same from year to year. But sharing a profile and quality turns them into princes. The years represent the body and the profile represents the surname. 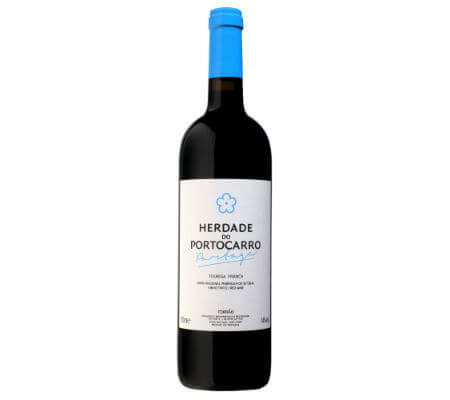 Herdade do Portocarro is in west Alentejo – a place, which is registered as being somewhere else according to bureaucracy. 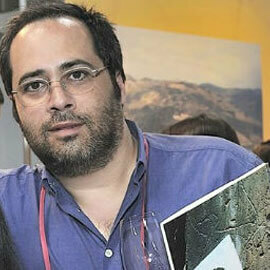 It would be odd not to consider wines from Alcácer do Sal, Grândola, Santiago do Cacém and Sines as wines of Alentejo. This property is in Alcácer municipality, an area that is well known for its rice fields and pine forests. If all the wines in Herdade do Portocarro deserve to be paid compliments, especially two of them: Anima and Cavalo Maluco; the former, because it is “a mess” caused by José Mota Capitão, its producer. The latter because… it’s the one, that is, one of my three favourite Portuguese red wines. In that property in the Peninsula de Setúbal – although it’s not located there –, they make five reds, one white and one rosé. I will not comment on them, because I didn’t taste the Alfaiate Branco 2013 (Esgana-Cão, Galego-Dourado, Arinto and Antão Vaz) nor Autocarro Nº 27 2013 (Aragonês [Tempranillo], Touriga Nacional and Cabernet Sauvignon). The wines by Herdade do Portocarro are surprising. I am not sure I understand them. They have never turned out as I had predicted. I do not recognise any similarities with others of the same area. 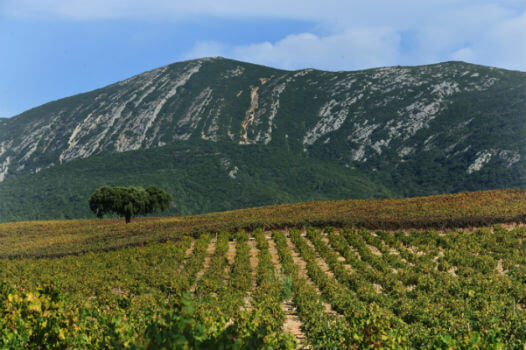 Could it be the famous terroir, a wary character that comes out of nowhere and quickly disappears, although so many people claim they have experienced it? 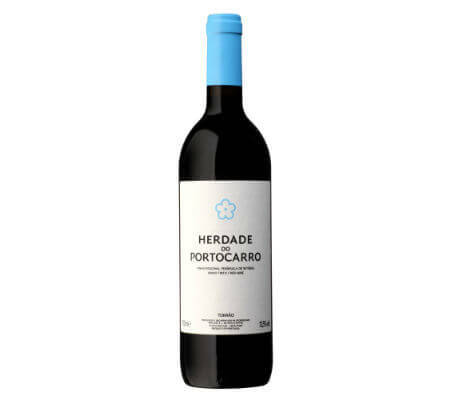 Herdade do Portocarro 2011 has minerality and freshness in the mouth. It was made with the Tempranillo, Touriga Nacional and Cabernet Sauvignon varieties. Full-bodied, but not a brut. It’s a city-farmer. I shared my surprise at the presence of the Touriga Franca variety with José Mota Capitão; I frown at the possibility that the queen of the Douro varieties would have made such a long trip through the country. Out of the non-Douro wines, only Herdade do Portocarro Partage Touriga Franca 2008 grants me the same pleasure as those of its region of origin. I can confirm that this variety needs friends; it does not make my heart beat faster on its own. The experience, at least, is worth it. José Mota Capitão stepped into the limelight with the first wine in Portugal to be made using the Sangiovese variety – in fact, if I am not mistaken, he may have been the first to plant it. Year after year, the Italian variety reveals its sensuality, but not its fragility. An Italian accent, but not the citizenship. It’s from this place, from São Romão do Sado, a burough in Torrão, municipality of Alcácer do Sal (Setúbal district, “Setúbal Peninsula”), West Alentejo. I bet – but I don’t know for sure, because I haven’t asked – it’s the variety that this wine producer feels most fond of. Anima wines confirm the beginning of uncertainty. They always turn out well; they have the same traits as their brothers and the same surname. They are not clones, nor twins. To comment on a specific year is only useful if one comments on all of the other years. I advise those who can afford it… to buy, savour and conclude. Tears of Anima 2014 is a Sangiovese rosé. Its main advantage is using the variety that others do not, which results in a bouquet closer to that of a white wine – and the fresh kind: citrus fruits, lychees, and early-picked plums. It has the character that “all” rosés should have: low alcohol levels. In Portugal, food-friendly Portuguese wines are highly valued… is it an advantage? Drink this one for the pleasure of chatting and relaxing after the beach turned you red, because you forgot to apply SPF 20,000 sunscreen! Now it’s time for my love: Cavalo Maluco (Crazy Horse). What an odd name! There is a reason for that. As a boy, José Mota Capitão played – as you do in many generations – Cowboys and Indians. Children tend to like winners… the boy who now makes wine wanted to be an Indian… perhaps one day he will produce a Sitting Bull! 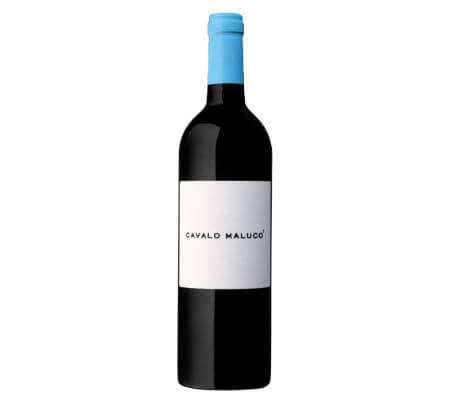 Cavalo Maluco 2011 may well be the “craziest” of them all. It was a grand year, and chief Lakota galloped. It was born from the Touriga Franca, Touriga Nacional and Petit Verdot varieties. Is it better than its predecessor?! And how about the one before that?! To be honest, I don’t know. I think so. The same advice goes to whoever can afford it: buy it, savour it and conclude. Cavalo Maluco and the other Herdade do Portocarro "indians"
I have watched oenologists debate the difficulties in producing large amounts and small amounts. Debates may be repeated, and the dialogue will hardly change, because with wine – as with almost anything – scales bring out different results. The bigger the universe, the lower the rate of excellence. That is why excellence is rare. There is plenty basalt around, yet diamonds are rare. This is one point; another very similar point is quality, generally. You can take excellent grapes and make a terrible batter out of them. You can take mediocre grapes – as in average –, but you can never make a fine wine with them. Likewise, the health of the berry is equally important across grape categories. Not all grapes are born to make great wines. Most of what is bottled doesn’t make it to top quality, which is not necessarily bad, or an indication of bad production. Oenology, like architecture, is a technical discipline. Drawing a factory requires a different set of skills from those needed to draw a unique home, designed according to its inhabitants. 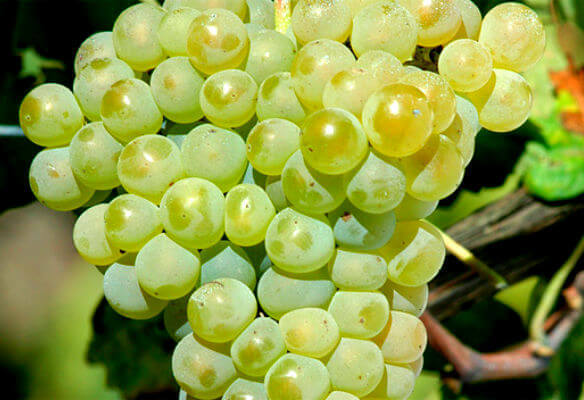 When planning to make a mass-produced wine, technicians must consider sourcing a large amount of good-quality grapes in order to make a product that will please most people. Dedication must be the same, however, the procedure – due to costs and cash flow – cannot be the same for large-scale production as for small-scale production. – What’s hard is to make millions of litres with enough quality to be consumed continuously, good enough to make a profit, to draw the consumer’s attention and keep them coming back, and to make it regular in aroma and taste, year after year. A byzantine discussion. For this producer, the disagreement must be sustained. José Maria da Fonseca produce both wines of mass consumption, successfully – and success is never an accident – as well as author editions and pieces that emerge only if nature allows. 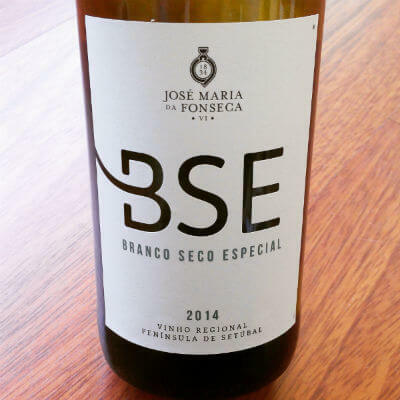 Branco Seco Especial (BSE) is one of the best mass-produced Portuguese wines. Fortunately, Portugal has more and more of this kind of product, whether in quantity or in regular quality. – Sancha don’t pull your sister’s hair. – Rúben, share your playstation. It’s a party! A party is a party! And since I don’t feel like waking up the next morning to a grand piano on my head or hearing whispers as if through a loudspeaker, or feeling the taste of cardboard in my mouth, the wine at the party has to be good. BSE is a safe bet. Just as safe as going to a Chinese restaurant or to a cosy little restaurant where my pockets feel safe – when laziness hits you, or when there’s no food in the fridge. Swiss precision. Península de Setúbal is a peculiar region, in a way. On the one side, it belongs to Lisbon’s Metropolitan area, yet still considered part of Alentejo. The map outlines it as one of the districts, but adding different realities to the mix makes an even greater mess and the political drawing becomes abstruse. I don’t understand why a vineyard in Grandola could be similar to one in Palmela. Right, the Atlantic Coast; of course… In that case, why is Odemira part of Alentejo? Never mind the fact that the Alentejo boroughs in the Setúbal district aren’t, in fact, in a peninsula. Bureaucracy and nonsense aside, what matters is the wine from a region which I find very interesting, from an oenophilic point of view. I will start – and end – with the quality of the wine. Finding a bad wine in the Setúbal Peninsula is not an easy task. There are trustworthy producers in “both regions”. However, few are big enough to expose their products properly. According to the Regional Vine-Growing Commission (CVR) there’s a “Top 9”, which proves my point: the tenth is in another reality. Few companies have the minimum necessary dimension to be talked about. In alphabetical order – to be polite – there is Adega de Palmela, Adega de Pegões, Bacalhôa, Ermelinda Freitas, Horácio Simões, José Maria da Fonseca, SIVIPA, Venâncio da Costa Lima e Xavier Santana. Together, they make up 98% of the wine. There is still another recently popular one Herdade de Rio Frio. Although decreasing, the dimension of cultivated land is a measure for a wine’s success: 23350 acres (in 2000) became 23227 (in 2013). It’s the 6th biggest producer, the 4th biggest exporter and, as per the CVR, sales increase has been “excellent”. In the year 2000, 12,622 hectolitres of Moscatel de Setúbal were produced, while in 2013 production came to 14,298. The nectars certified by Palmela have increased from 19,286 (in 2000) to 24,622 (in 2013). The Regional Península de Setúbal jumped from 110,818 (in 2000) to 245,558 (in 2013). Producers, from 2000 to 2013, grew from 92 to 128. There were nine for Moscatel de Setúbal and now there are 12. Purple Moscatel had four and now six. When it comes to success, I think we have made that clear. If the “9” are responsible for 98%, this means they are the drivers for the smaller producers who focus on niche-markets. I like Herdade do Portocarro best of all for their amazing wines Cavalo Maluco (Crazy Horse) and Anima (Latin for ‘soul’) – in West Alentejo. Do you know what species this is? He replied that he didn’t. For more than a century, the wines in the region “usually meant” castelão. Others appeared, but this variety persevered; 70% consists of red species. What, then, makes this 2-in-1 region special? A mix of freshness and heat from Alentejo sand and air. The freshness comes from the Setúbal Peninsula, from locations that may be higher and may contain more clay (Serra da Arrábida) and from winds that run through the Tejo and Sado estuaries. In West Alentejo, river Sado is near, pools of the deep-water rice plantations live about, the sea is close and the neighbouring pine forests give it some subtlety. In my view, I would add palate, a subjective factor. These two regions are worth exploring. They have yet another advantage: prices are usually kind to the pocket. Besides, there are GREAT wines in the Setúbal Peninsula and in West Alentejo.